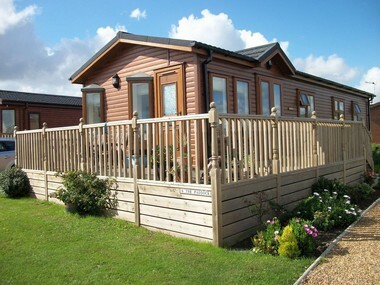 FANTASTIC LODGE AT AN AMAZING PRICE! This magnificent two bedroom lodge is fully central heated and double glazed with a family bathroom, an en-suite off the main bedroom, a well equipped kitchen including a washing machine and full sized fridge freezer. The lodge offers a comfortable living area with two doors leading out onto a large wrap around wooden veranda.